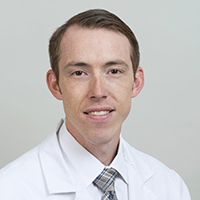 Dr. Jonathan King is an Assistant Professor in the Division of General Surgery at UCLA. He attended the University of Maryland for his M.D. degree before coming to UCLA for his general surgery residency. After residency, Dr. King spent two years in Pittsburgh, PA (UPMC) for a surgical oncology fellowship before returning to Los Angeles to join the surgery faculty. He is board certified in General Surgery as well as Complex Surgical Oncology and has particular interest in pancreatic cancer and disseminated peritoneal malignancies. He has expertise in robotic-assisted minimally invasive pancreas surgery and performed UCLA’s first minimally-invasive pancreaticoduodenectomy (Whipple procedure). He also started UCLA’s program for hyperthermic intraperitoneal chemoperfusion (HIPEC). In addition to his clinical interests Dr. King is a translational and clinical investigator with active research interests in the biology of exosomes and pancreatic cancer metastasis. He has authored numerous peer-reviewed manuscripts and abstracts as well as book chapters in some of the authoritative surgical textbooks. Dr. King is an enthusiastic surgical educator and is developing the UCLA residency training curriculum for robotic-assisted surgery and he is a member of numerous professional societies.